BelarusDigest > All > Belarusian parliamentary elections: does everybody win? On 11 September 2016 Belarus held elections to the House of Representatives of the National Assembly. In spite of the relatively insignificant role of the parliament in the Belarusian political system, these elections seem particularly important given the international situation and current economic crisis in Belarus. Many experts expected deeper democratisation during the electoral campaign, such as introducing the OSCE’s recommendations into legislation, as well as including several representatives from the opposition into the parliament. According to experts’ views, such steps would demonstrate the authorities’ willingness to continue their dialogue with the West and would guarantee further loans from the IMF. However, the actual results appeared to be much more moderate than experts had expected. One needs to be a very attentive analyst in order to find any significant difference between the current elections and previous electoral campaigns. The authorities have certainly introduced a few of minor changes into the legislation to demonstrate their willingness to cooperate with the OSCE and the West in general. Simultaneously, they have launched an information campaign to demonstrate their inability at a constitutional level to implement the OSCE's main recommendations. As a result, all the flaws of the Belarusian electoral system, such as abuses during early voting, strong administrative support for certain candidates, and a lack of control during votes counting have remained untouched. Naturally, both international and domestic independent observers have called the results of the elections into question. Two month ago 'Nasha Niva', an opposition newspaper, published a forecast of the future members of parliament. The journalists based their assumption not on the candidates’ programmes or on sociological surveys but on the candidates’ relations with the authorities. As a result, 96% of the candidates from ‘Nasha Niva’s list became MPs. Many experts consider early voting to be one of the main indicators of fraud during electoral campaigns in Belarus. The 2016 campaign has not been an exception – according to official data, early voting amounted for 31,29% of votes compared to 26% during the previous parliamentary elections in 2012 and to 36,05% during the presidential elections in 2015. Since in 2006 early voting amounted to 31,3% of the vote, one one would need to be quite an optimist to find any liberalisation in this practise during the current parliament elections. Only wide use of administrative resources could guarantee such high results. Nevertheless, there has been one surprise during these elections. Two apparently non-establishment candidates won a place in the parliament – a member of the oppositional United Civil Party (UCP), Hanna Kanapatskaya, and Aliona Anisim, a deputy head of the Belarusian Language Society. In this context, Dr. Andrey Kazakievich, one of the leading researchers of Belarusian elections, has stated that for the first time since 2000 the results of the current elections appear to be more interesting than the campaign itself. Some experts consider the two non-governmental MPs to be a sensational result of these elections and speculate on the possible changes in the parliament’s future activities. Anyone acquainted with Aliaksandr Lukashenka’s personal attitude to the very idea of non pro-governmental MPs understands the importance of this result. During the previous electoral campaign numerous high-level officials in Belarus, including secretary of the Central Commission on Elections Mikalai Lazavik, made statements about the possibility of a few opposition MPs in the parliament. Such non-public discussion continued in the Presidential Administration. Those officials and agencies, including the Ministry of Foreign Affairs, who supported this idea, pointed out the inability of such a small group (up to 10 MPs) to have any influence on the decision-making process. At the same time, their mere presence in the parliament would send positive signals to the West. However, the president rejected all such proposals. One can doubt whether these two MPs are even truly members of the opposition as such. Aliona Anisim has publicly rejected the "opposition" label. Her activities promoting the Belarusian language correspond to the authorities’ latest trend of soft belarusization. Moreover, her presence could help Lukashenka in his negotiations with Moscow – the weak economic situation strengthens nationalistic forces, which could be potentially dangerous for Russia. The head of the Belarusian Language Society – the very well-known member of the opposition Aleh Trusau – was not elected. The situation with Hanna Kanapatskaya is even more ambiguous. Her victory could force the UCP to recognise the results of the elections, which would mean internal legitimisation of Lukashenka's parliament. This makes conflicts inside the UCP, as well as among other opposition organisations, even more possible. Despite the expectations of certain experts, two MPs can do almost nothing within the strictly authoritarian Belarusian political system. Moreover, serious doubts exist about Kanapatskaya’s and Anisim’s intent to truly represent the opposition in parliament, let alone disturb the authorities with non-approved initiatives. Almost no one doubts that the West remains the main audience for these elections’ results. The OSCE, EU, and USA have already expressed doubts regarding the fairness of the Belarusian elections and have called for further reforms of electoral legislation. The artificial character of the campaign, as well copious fraud remain an open secret. However, given the continuing conflict with Russia and the balancing position of Belarus nobody wants to antagonise Lukashenka. Rumours exist that such ‘liberalisation’ should become a precondition for a new loan from the IMF, as well as to improve relations with the EU and particularly the USA. However, even if these rumours have nothing in common with the reality, the authorities lose nothing. Thus, it seems that everybody wins as a result of these elections. The president maintains a completely loyal parliament which has no actual influence on the decision-making process in the country. The West achieves ‘apparent’ steps towards democratisation and liberalisation in Belarus. The opposition had its ‘minute of glory’ and once again demonstrated to everybody, including foreign partners, its inability to propose any serious political alternative. The intensive cleansing of the political field in the country since 2010 has born fruit for the authorities. Thus, in terms of economic and social development of the country, the new Belarusian parliament is shaping up to become as efficient as the previous one, which initiated only three laws during its four year term. Its main function this time around will be reintegrating and legitimising the current Belarusian government to the world. Speaking at a meeting of the Consultative Council for Belarusians Living Abroad on 5 September in Minsk, Belarus's foreign minister Vladimir Makei sought support from the Belarusian diaspora in preserving the country's “independence, sovereignty and statehood”. This is a recent and noteworthy trend. Earlier, the government's interaction with Belarusians living abroad remained limited to cultural events or using some of them as the regime's advocates. Since recently, the Belarusian authorities have become aware of the role the diaspora can play in promoting the country’s political and economic interests abroad. However, the government’s politically motivated selectivity in choosing its partners and a lack of money to support their ties with Belarus jeopardise this cooperation. 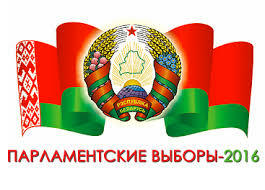 Different estimates put the number of people of Belarusian descent outside Belarus between 2.5 and 3 million people. Some of these are autochthonous Belarusians living in neighbouring countries. A significant number of Belarusians migrated to former Soviet republics during Soviet times. Many people ended up in Western countries as a result of several waves of political or economic emigration. The World Association of Belarusians ​"Baćkaŭščyna", established in 1990, unites 135 organisations of the Belarusian diaspora from 28 countries. Baćkaŭščyna holds congresses of Belarusians every four years. Leaders of the Belarusian diaspora, supported by Baćkaŭščyna, for many years sought the adoption of legislation codifying its relationship with the mother country and establishing efficient mechanisms of support. However, the Law on Belarusians Living Abroad, which came into effect in September 2014, did not live up to their expectations. The law failed to introduce any formal recognition of their status by the Belarusian state. The Belarusians living abroad receive no preferential treatment or incentive when they repatriate or travel to Belarus, study or invest in the country. Besides, the Belarusian government has no legal and scarce financial resources to support diaspora organisations in their countries of residence. The foreign ministry has been looking – sometimes successfully – for local sponsors to provide such support. Nor is it prestigious to be a Belarusian, especially in the Western world. The international reputation of Alexander Lukashenka’s regime may cast a shadow on persons belonging to the nation. All these factors do nothing to stop the negative trend of accelerated mass assimilation of Belarusians outside their home country. In Poland, where several experts estimate the number of ethnic Belarusians at the end of the 20th century to be 200–250 thousand people, only 47 thousand persons identified themselves as such in the 2011 census. In Russia, the number of self-identified Belarusians dropped from 810 thousand in 2002 to 520 thousand in 2010. In the United States, most children and grand-children of Belarusian emigrants do not speak Belarusian and fail to participate in activities of Belarusian associations. The foreign ministry, now the main point of contact in Belarus for the diaspora, held the second meeting of the Consultative Council for Belarusians Living Abroad on 5 September in Minsk. The ministry timed the meeting to coincide with celebrations of the Belarusian Written Language Day held in Rahachou on 4 September. All Council members from nineteen countries were brought to this small town in eastern Belarus 200 km from Minsk. The composition of the Council, established in September 2014, raises many questions. While it includes members from 19 countries, some (i.e. Moldova) are clearly over-represented and some (i.e. Poland) are underrepresented. The Belarusian community in the United Kingdom has a church, a major Belarusian library and several organisations in London but no representation in the Council. Several associations of Belarusians operate in the United States with their own community centres, churches, libraries and periodicals. However, the Belarusian foreign ministry has chosen a certain Peter Zharkov, the president of the Association of Russian (sic!) WWII veterans in Minneapolis, to be its interlocutor on the affairs of Belarusian Americans. To date, Zharkov’s most notable contribution to the Belarusian cause may be his participation in the All Belarusian People’s Assembly in June 2016, where he praised Lukashenka’s “strong and constructive statement”. It would be a challenge to find a single word written in Belarusian on Peter’s Facebook page. Speaking to Belarus Digest, Dmitry Mironchik, the foreign ministry’s spokesman, stressed that the Consultative Council was never meant to be a representative body. The foreign ministry sees it as a mere “working tool to interact with the diaspora”. The Council currently includes people whose candidatures were submitted by Belarusian embassies. One can assume that Belarus’s foreign missions tend to recommend such people who are not averse to the Belarusian authorities’ domestic and foreign policy. For many years, post-war emigrants from Belarus to the United States remained the most vocal advocates of the country's independence and democratic future in the free world. However, as Dr Jan Zaprudnik, a recognised leader of the Belarusian diaspora in the United States, confirmed to Belarus Digest, Belarusian diplomats have failed to invite people from this community to join the Consultative Council. Vladimir Makei’s address to the second meeting of the Consultative Council represented a hodgepodge of policy statements and a Soviet-style activity report. The latter included a detailed account of various events held with the government’s assistance and participation, such as concerts, summer schools or celebrations. The most important policy statement became the foreign minister’s appeal to the Council’s members “to do everything possible to preserve our country, so that it retains its independence, sovereignty and statehood”. He called it “our common [country]" and “most important task”. Earlier incessant promotion of the “Union State of Belarus and Russia” and post-Soviet integration may have disoriented many members of the Council, especially those living in Russia and other CIS countries. Some of them sympathise with Putin’s “Russian world” concept. The minister may have wanted to remind such Belarusians that their true loyalty should belong to their mother country. Makei spoke about the ministry’s intention to work together with the World Association of Belarusians "Baćkaŭščyna" to prepare the next Congress of Belarusians of the World. While Baćkaŭščyna and the congresses never entered open and direct opposition to Lukashenka’s regime, their relationship always remained quite cold and mostly working-level. The ministry seems to be determined to reverse this trend. It has been working on some undisclosed “important decisions" of revolutionary nature to be announced on or before the next Congress in 2017 in Minsk. Vladimir Makei also called for a stronger involvement of the Belarusian diaspora in the development of trade relations between their countries of residence and Belarus. However, the decision to hold a business forum for Belarusians living abroad adopted at the 1st meeting of the Consultative Council in July 2015 has yet to be implemented. The foreign ministry seems to have a genuine interest in establishing a more productive framework for relations with the Belarusian diaspora. However, its efforts will bear fruit only when the government begins to invest more energy in strengthening Belarusian national identity at home. The government should choose its partners among the diaspora on the basis of their competency and their loyalty to the Belarusian nation and not to those in power. The authorities should also put in place and finance specific mechanisms of support and engagement such as a Belarusian's Card (modelled after a similar Polish document), which could help the diaspora strengthen their ties with Belarus.